My time in Newport has come to an end, but thanks to Environment for the Americas my adventure in Oregon is still on the horizon. 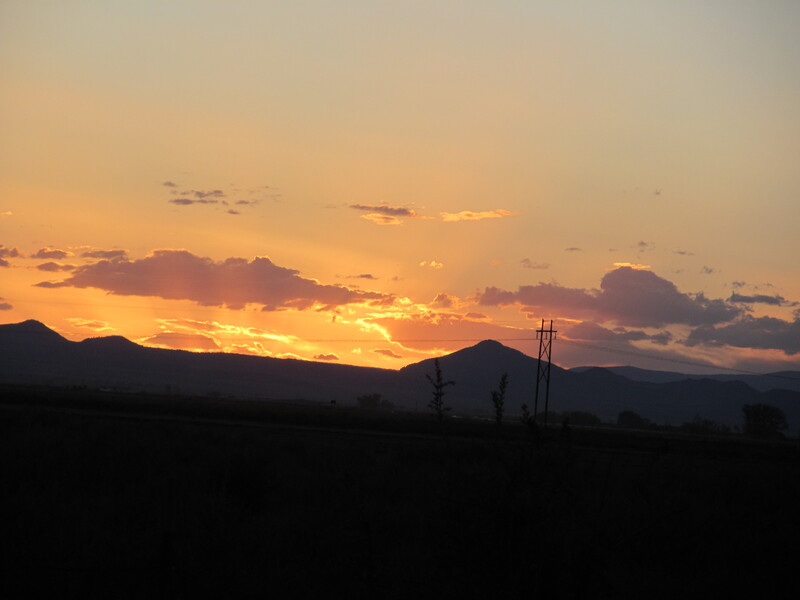 I was invited to work under the auspices of Klamath Bird Observatory to band birds during the Fall migration. Within the world of ornithology, KBBO is a powerhouse of scientific data purposed for the conservation of migratory bird species. Research coming out of the center contributes to understanding the habitat needs of wildlife, resulting in the publication of bird databases, the development of policy suggestions for documents like the upcoming State of the Birds report, the founding of citizen science projects, and the creation of education programs. Knowing their dedication to a higher caliber of science, I’m incredibly happy to be involved with KBBO projects on migratory birds. The Shorebird surveys of the EFTA Internship was a great segue into learning about the biology of birds through field research with KBBO. It is humbling to know that both EFTA and KBBO have confidence in my birding experience and skills to take on the task of catching and banding birds. Packing my bags in Newport was done with much anticipation for what lied ahead. Bolting from the coast to the land they call “Southern Oregon” was a trip, to say the least; as soon as I passed the Cascades it was hard to believe that I was still in the same state, let alone the same continent. Within thirty minutes the landscape changed drastically. In place of lush temperate rain forests, violently windblown headlands, and the lingering scent of wet mud were conifers sparsely clinging to towering cliff sides, scrub and bush sucking the land dry, and the haze of dust getting flung up by pick-up trucks zipping down highway 97. Coming from D.C., where the humidity stubbornly reminds nature’s conquerors of the swamplands it once derived from, my body craves moisture. In Newport, as wet as it is, I already felt the strain of a dryer climate on my skin, leading me to immediately invest in a bottle of heavy duty moisturizer. Now that I’m in Klamath I realize that I am a wimp–the additional three bottles of Cocoa Butter in my shopping cart last week confirms that I am indeed in a new, much dryer, place and there’s a lot of new things yet to learn and discover about Oregon. We didn’t spare any time. En route to Klamath Falls my friend and I stopped by Bend, Oregon to hike in Smith Rock State Park. It seemed too easy to not take advantage of. The route between Newport and Klamath practically invited us to take the mountainous detour; we would only be 45 minutes away. The park was epic, with lots of scenic views and trails for all sorts of recreational activities. In one path alone we crossed paths with birders, rock climbers, mountaineers, tourists, photographers, and adrenaline junkies hurling themselves off of the cliff side with a harnessed pulley system. The last of these outdoorist groups kindly dared us to take a leap. Cautiously scanning the drop from Smith Rock to the hiking trails [what seemed like] thousands of feet below, I decided against the impulsive temptation: I had places to go and birds to band. To be continued. Maybe there will be some bird pictures, maybe some videos…I hope the anticipation doesn’t kill you. Tune in soon. I was responsible for the Turkey Vulture Stomach Acid Experiment, and it was really fun! The CU Museum of Natural History was able to provide us with a mounted Turkey Vulture which was great to have to a life-size mount to show kids. All the kids, and even parents, really enjoyed learning about the vultures…they are amazing creatures and are a great representation of nature’s ability to have ecosystem workers in a natural way. Did you know: Turkey Vultures eat dead animals and can smell a rotting carcass miles away! Their wing span can be up to 6-ft wide and they can live up to 20 years and can be found all throughout the Western Hemisphere. The point of the experiment was to demonstrate the extremely acidic stomach juices Turkey Vultures have to be able to eat dead and/or diseased carrion without getting sick themselves. Overall, Turkey Vultures have a stomach acid pH from 0-1 (which is basically as acidic as battery acid! ), whereas humans have a stomach acid pH of about 2. We mixed ground up dried pasta noodles to represent bones, red food dye to be blood, water, and Alka-Seltzer together and poured it down the Turkey Vulture’s “throat” (a tube attached to a funnel that was inside of a plastic water bottle) to see how it reacted with the “stomach juices” (white vinegar, which as a pH of about 2). Kids loved to see the Alka-Seltzer react with the vinegar…any gross with kids is always a hit! This is my last week with Environment for the Americas, so I’ll be highlighting my experience with EFTA in my next blog and in the meanwhile, I will be really busy finishing all the final tasks I need to get done before moving on to my next chapter with CO Parks and Wildlife! Wow! I have been given the honor to work with the CALIDRIS Association from mid September to early November! 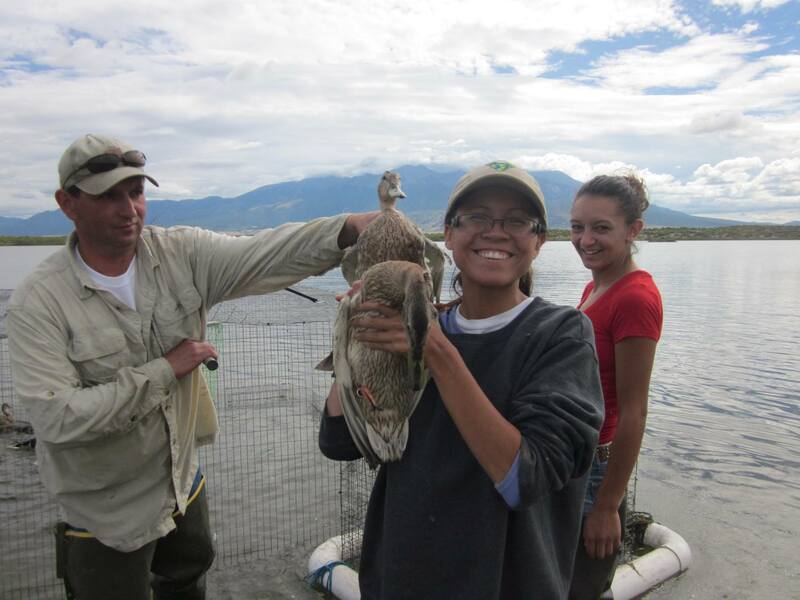 Calidris is a Non-Governmental Organization (NGO) based in Cali, Colombia. 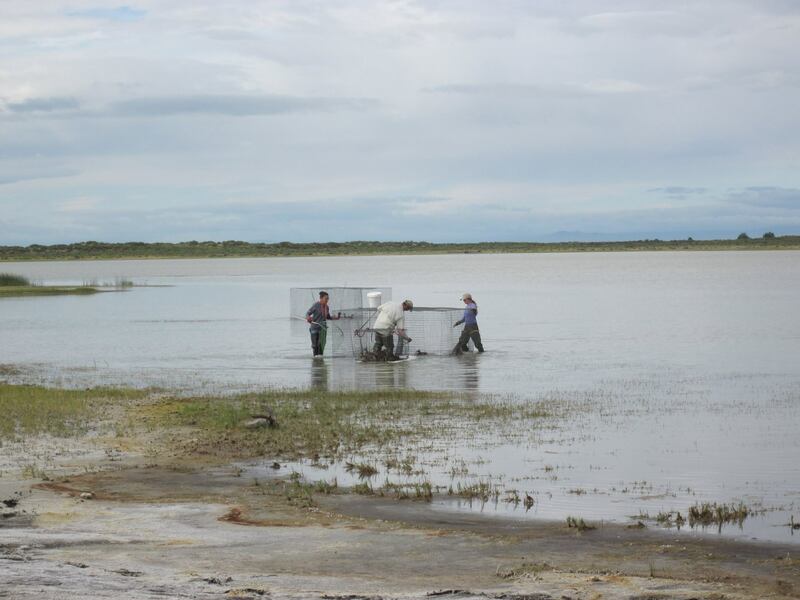 Originally formed by biology students fresh out of college along with the guidance of their former ecology professor, Dr. Luis Germán Naranjo. The organization was inspired to expand their knowledge on shorebirds who annually migrated to Bahía de Buenaventura, Colombia. After four years, Calidris soon realized the need to expand their efforts in order to have a greater impact on the conservation of Colombia’s avifauna. Since 1993, the Calidris Association was iniciated and continues to contribute immensely to the expansion of knowledge on Colombia’s bird diversity. They have succeeded thanks to their continual effort in the expansion of research, identification and conservation of critical habitat, and promoting stewardship through amazing environmental education programs throughout Colombia! Inspired? I know I am! Currently I am in my hometown of Lennox, California. Where I am preparing for my big trip to Colombia. I have never traveled to South America, so these past few weeks have been a bit overwhelming with emotions and unexpected surprises. For example, learning that I needed to get vaccines to travel… Wow, that’s scary and pricey! Thankfully my parents are very supportive of my career goals and were willing make the sacrifice to help me. I don’t know where I would be if it were not for my parent’s support! Hopefully I can soon be able to pay them back since my father turned 65 this year and no longer has the energy he once had in the past. 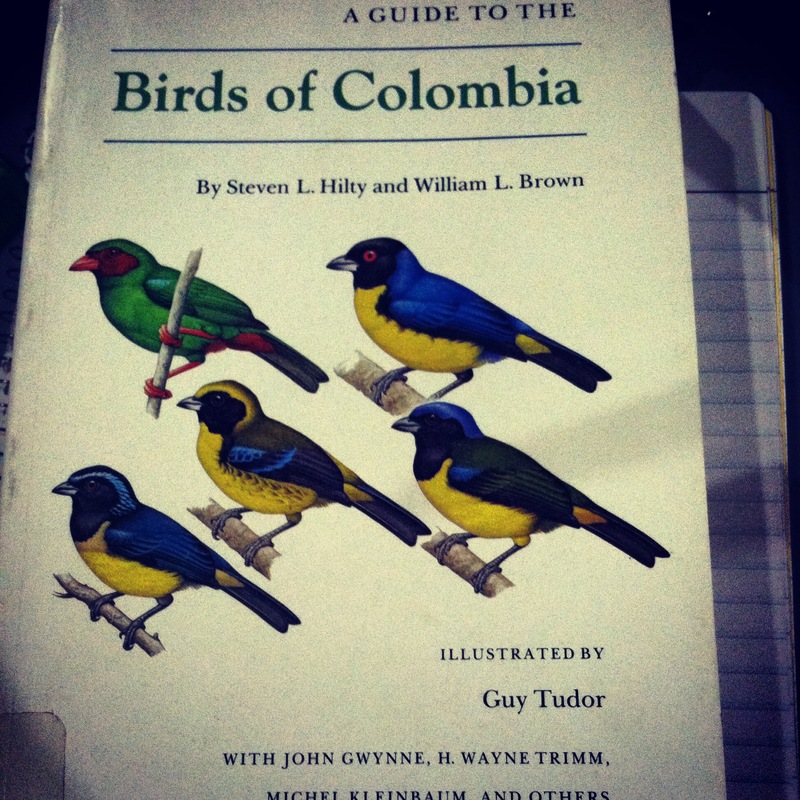 I have also been busy reviewing literature and learning the birds of Colombia. I just received my bird guide on the birds of Colombia in the mail a few days ago, and WOW the biodiversity is incredible! 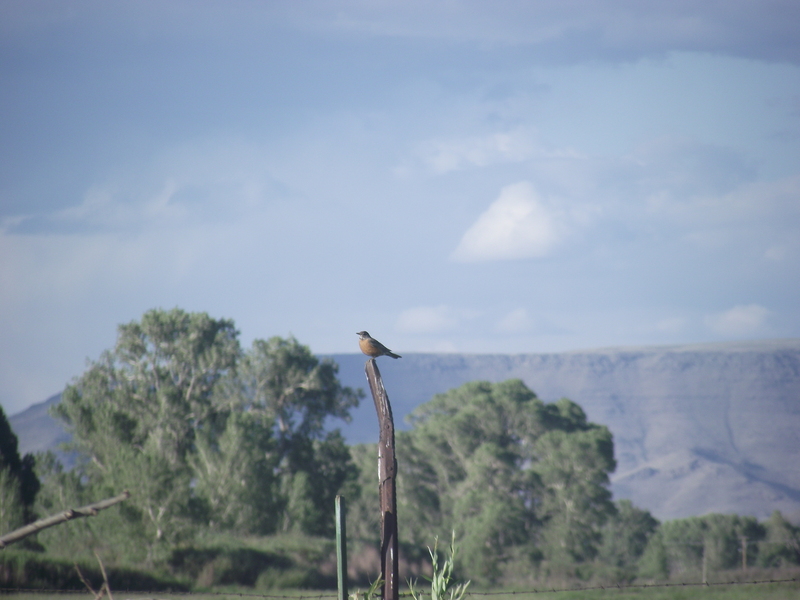 I am excited to have the opportunity to expand my knowledge of migratory passerines along with shorebirds! I feel beyond blessed for this opportunity, and I am extremely grateful for the Calidris Association for allowing me to be part of their amazing organization. I also thank Environment for the Americas for organizing yet another amazing opportunity that allows me to continue learning, and growing as a biologist. Stay tuned for more updates from my new adventure as I follow the birds from Alaska to Colombia! 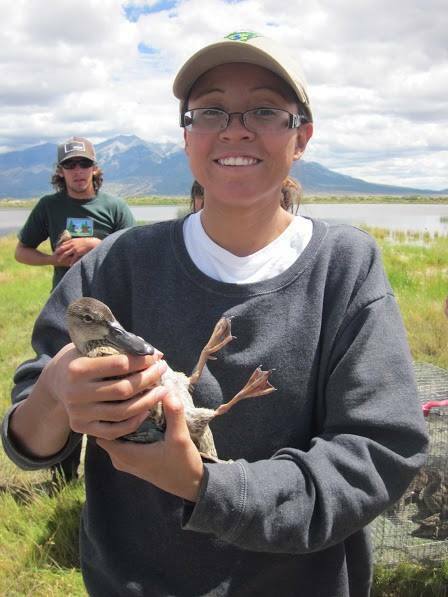 I will be posting weekly bilingual blogs throughout my internship with the Calidris Association! ¡GUAU! ¡Me han dado el honor de trabajar con la Asociación CALIDRIS durante los mediados de Septiembre a los primeros de Noviembre! Calidris es una Organización No Gubernamental (ONG) con sede en Cali, Colombia. Originalmente formado por estudiantes de biología recién graduados bajo la dirección de su ex profesor de ecológica Dr. Luis Germán Naranjo. La organización fue inspirada a conocer mas sobre la aves playeras que llegaban a la Bahía de Buenaventura durante su migración anual. Después de cuatro años, Calidris rápidamente se dio cuenta que avía una necesidad de ampliar sus esfuerzos para tener un gran impacto sobre la conservación de avifauna en Colombia. Desde 1993, la Asociación Calidris fue iniciada y continua a contribuir inmensamente a la expansión de conocimiento y conservación sobre la diversidad de aves en Colombia. Logrado gracias a sus esfuerzos dirigidos a la continuación de investigaciones, identificación y conservación de hábitat critico, y la promoción de corresponsabilidad con las asombrosas programas ambientales educativos a lo largo de Colombia. Actualmente estoy en mi ciudad natal de Lennox, California. Donde estoy preparándome para mi gran viaje a Colombia. Como es mi primera ves viajando a Suramérica, las semanas pasadas han sido un poco abrumador con los costos y sorpresas inesperadas. Por ejemplo, aprendiendo sobre la necesidad de vacunas para viajar…. ¡GUAU, eso es asustadizo y costoso! Mis padres son agradecidamente muy de apoyo de mis metas de la carrera y estaban dispuestos hacer el sacrificio para ayudarme. No sé donde estaría si no tuviera el apoyo de mis padres. Ojala muy pronto podré pagarles por todo lo que me han ayudad por que mi papá a los 65 años ya no tiene la energía que a un tenia antes. También estado ocupada revisando literatura y aprendiéndome las aves de Colombia. Hace pocos días recibí mi guía de aves de Colombia en el coreo, y ¡GUAU la biodiversidad es increíble! 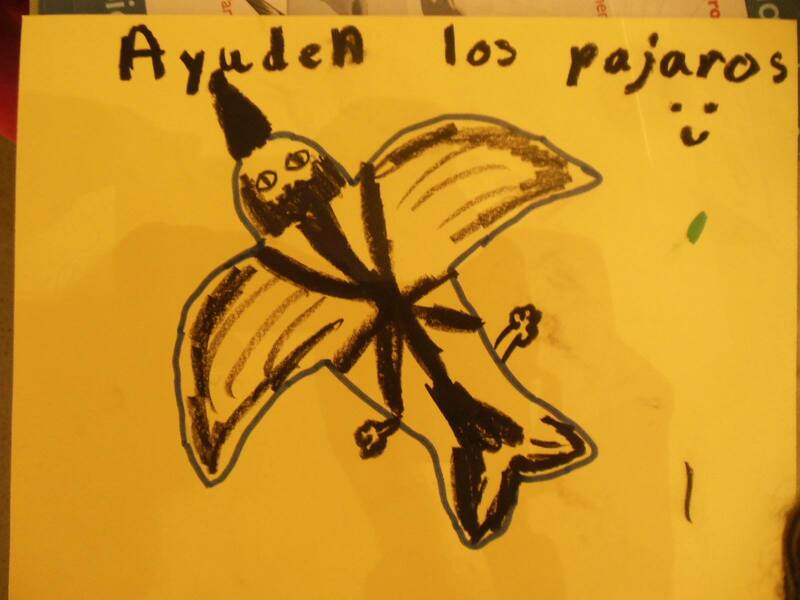 Estoy muy emocionada de felicidad de poder tener la oportunidad de ampliar mi conocimiento de los paseriformes migratorias en conjunto con las aves playeras. Me siento mas de bendecida por esta oportunidad, y estoy muy agradecida por ser parte de una organización tan increíble como la Asociación Calidris. También le doy muchísimas gracias a Environment for the Americas por otra oportunidad asombrosa donde puedo continuar mi aprendiendo, y creciendo como bióloga. ¡Alertos para más actualizaciones de mi nueva aventura siguiendo las aves desde Alaska a Colombia! Durante mi pasantía voy a escribir cada semana un nuevo blog sobre mi experiencia con la Asociación Calidris en español y ingles.